Recently, Apple iPhone X or as it is popularly called iPhone 10 had just come to India and its arch-rival Samsung has once again mocked it, in its new advertisement that is shared on YouTube. Even though the South-Korean company is the key supplier to iPhone including their advance OLED display, still that did not stop Samsung from mocking it. The ad that is titled 'Growing up' on Youtube shows the story of a man who is using iPhone from the year 2007 and his girlfriend is a huge fan and a loyal Galaxy user. In the story, the boy seen disappointed every time he bought a new iPhone because the feature of his girlfriend's phone (Note) is always better. In the end of the video, the viewers witness that the boy shifted from iPhone to Samsung Galaxy Note 8 and walk past the line in which iPhone X customers are standing. With the advertisement, one thing is clear that Samsung does not even try to be subtle when it comes to showing its users that they are better than others. However, this is not the first time when The South Korean company have openly mocked Cupertino, the California based company. 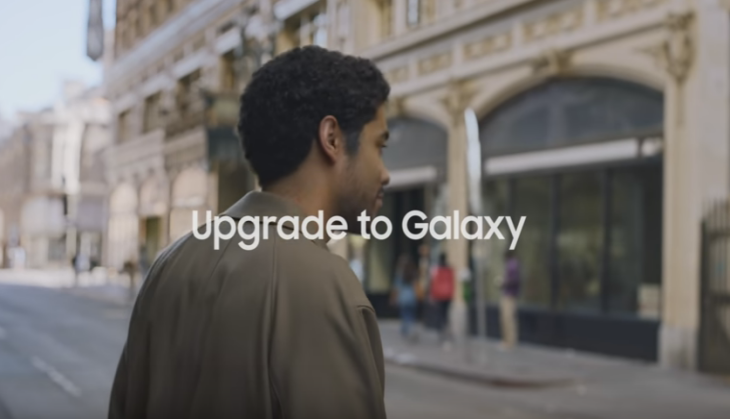 When the iPhone 6 was released with a new display Samsung had even then shown in its ad that they have been doing it for a long time. Even if one compare Samsung Galaxy Note 8 with Apple iPhone X they will see Galaxy is providing dual rear cameras with dual OIS and much bigger OLED full display than Apple iPhone X. Meanwhile, California based company sold its latest iPhone within the minute of its release in India and the customer of iPhone has to wait for a long time for the next stock.